A Todmorden school hopes to create classrooms in its roof space. Cornholme School hopes to create the classrooms, with the addition of roof lights, at its Greenfield Terrace building. At the back, windows will be changed to a door as a means of fire escape, plus the addition of steps from the new escape door. 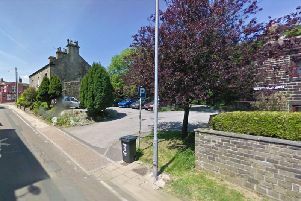 Todmorden Town Council’s development committee was set to discuss the application, made to Calderdale Council, last night. A final decision on the application will be made by Calderdale Council.